Following a petition in the High Court London by three creditors it was ordered that the company – Twelve-by-Seventy-Five Ltd – be wound up. The order was made on 30th January 2019. The petition was lodged on 14th December 2018 by Stuart John Reid, Gregor James Reid and Shona Louise Reid. Sultan Mahmood Rashid, the sole remaining director, did not contest the petition nor was he present in court of the hearing. Today I received this email (below) from an investor misled by promises from Twelve-by-Seventy-Five Ltd asking for advice. They have been contacted by Empire Investment Capital Ltd.
'Like many others you are aware of I was mis-sold Excellence De Belliard wine by Twelve by Seventy Five and their directors, De Nardis and Rashid with the promises of high returns. As with all their other customers they eventually refused to even speak to me over the past year and I now know the company has been liquidated. Within the last month I have been contacted by a company called Empire Investment Capital and in particular by their director Raymond William Empson who has offered to sell my wine as a 'Capital Exchange' to Shangri La Hotels, Hong Kong. The sale price they have quoted would be 16.5% premium on my purchase price to TBSF. In order to be in their 'Capital Exchange Programme' they have requested a returnable deposit of 3750 GBP and also insist that for the exchange to be made then I must pay them the VAT on the original purchase price of my wine which is currently held in bond with LCB. This I have refused to do as I know that VAT is not payable until the wine is released from bond. I have strongly urged the investor to have nothing to do with Empire Investment Capital Ltd. All too often similar deals suggesting that there is a buyer in China or somewhere else in Asia Pacific have 'fallen through' once the wine or the advance fee has been paid. I can see no reason why Shangri La Hotels would want to buy the virtually worthless Excellence De Belliard wines, especially not at a 16.5% premium. I have also urged this investor to contact the Official Receiver about this approach. This was following their Not Guilty pleas and jury trial at Southwark Crown where all three were found guilty of conspiracy to defraud victims of Mayfair Worldwide Trading, Commodex Global and Winchester associates. Christopher BRUMMITT – guilty plea at pre-trial hearing to criminal finance offences, was given bail by court but has absconded. Essex Police are actively seeking him. He admitted the offences on November 7th 2018. 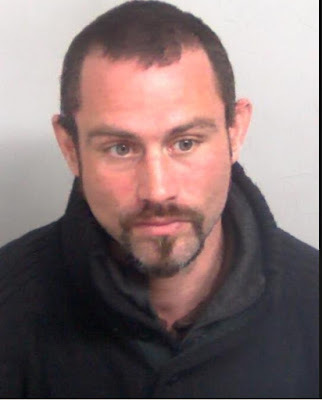 Christopher Brummit, 36, of Ugley, Bishop's Stortford, was due to be sentenced on Thursday 14th February, for two counts of transferring and acquiring criminal property. An Essex Police spokesman said: "The case relates to a fine wine scam between 2013 and 2015 where he acquired £157,000 of criminally gained funds and transferred over £72,500 of them. "Brummit is 5ft 7ins, he has a tattoo of a zodiac star on his neck and Celtic and tribal tattoos on his arms. "He has a triangular symbol tattooed on his chest and a scar. He has links to Bishop’s Stortford." Anyone with information can call Braintree CID on 101 or Crimestoppers anonymously on 0800 555 111.